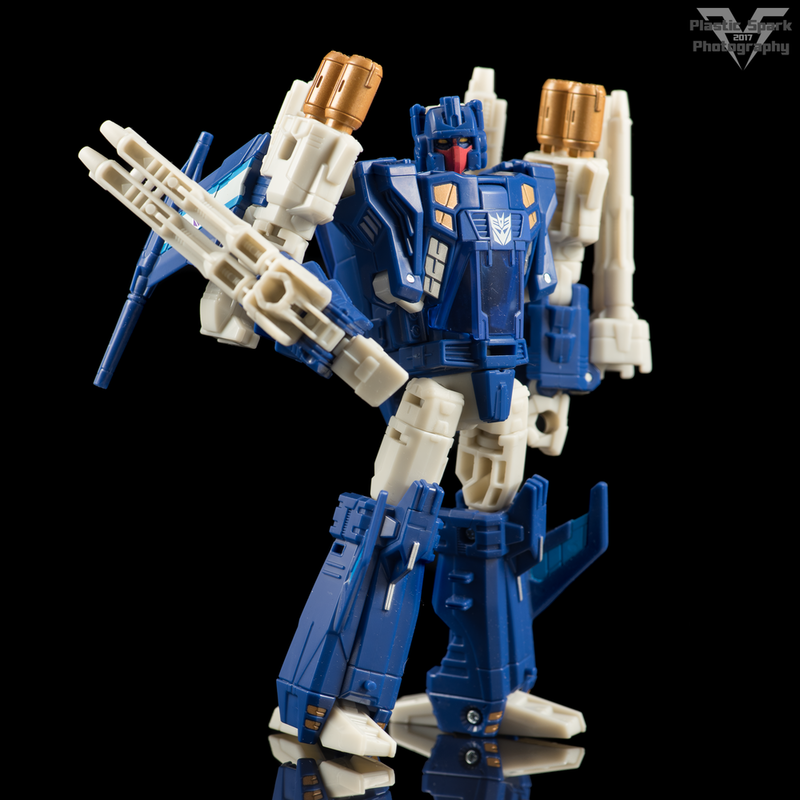 Triggerhappy is what happens when the Hasbro design team is having a good day. 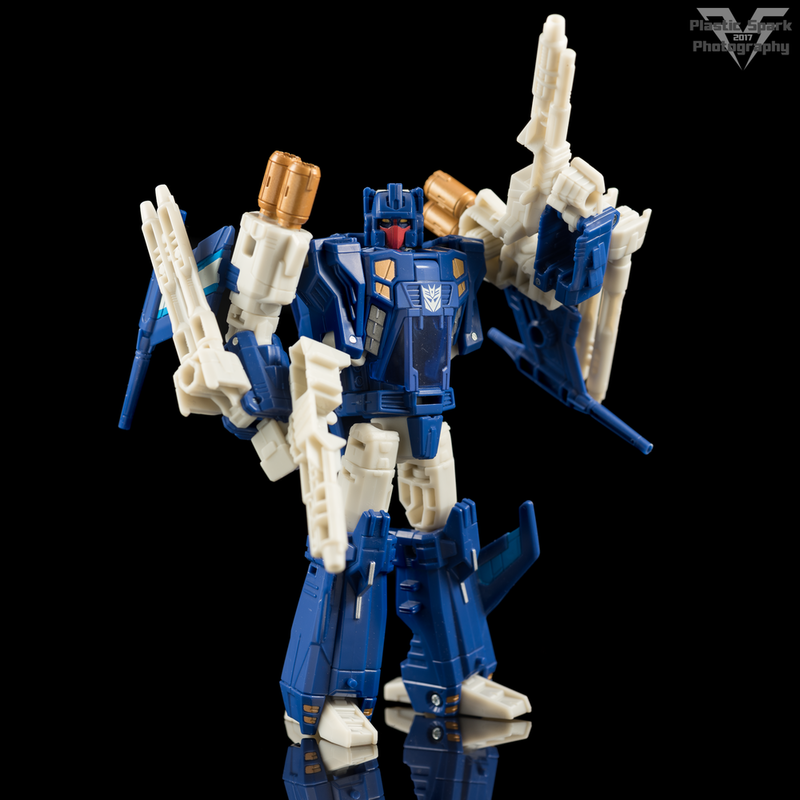 Compared to some of the deluxe releases we've had in the Titans Return line, all of which have been pretty decent but not outstanding, Triggerhappy is an invigorating slap in the face on the same level as Deluxe Brainstorm. This is the single best Decepticon figure that has been released in this line. The transformation is intuitive and as far as I can tell the core of the transformation is something new that we haven't seen before, or at least haven't seen in a long while! 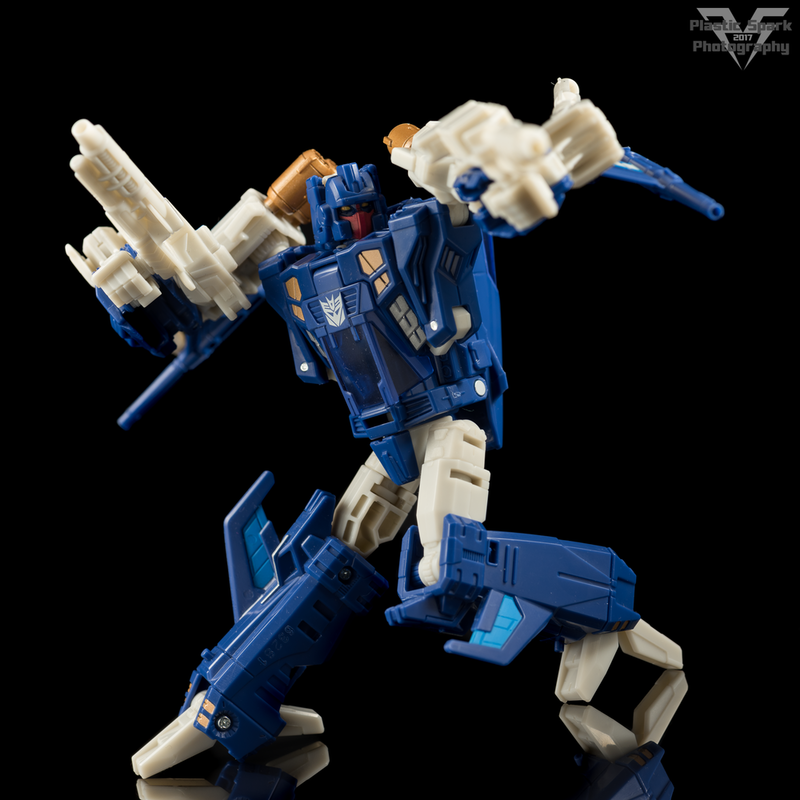 Triggerhappy's transformation evokes memories of classics Cyclonus while putting his own unique spin on things. I would have liked to see some thigh/forearm panels to cover some of the gaps but the transformation would have become muddled if they had tried to add them. 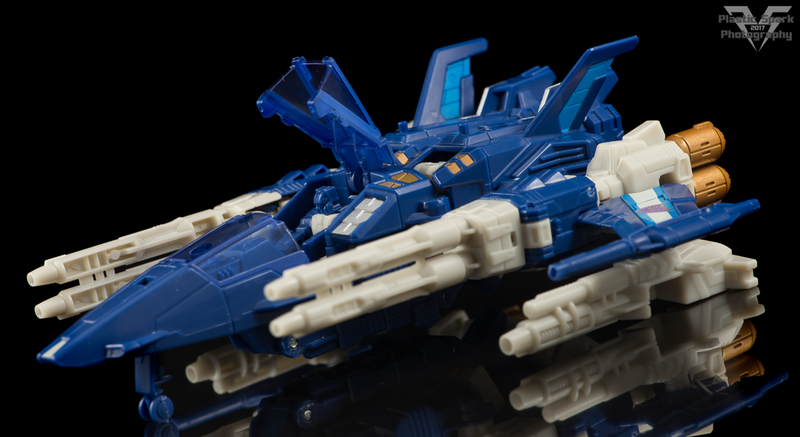 The jet fighter mode is sleek and aggressive looking with plenty of firepower from the twin cannons one either side of the fuselage. 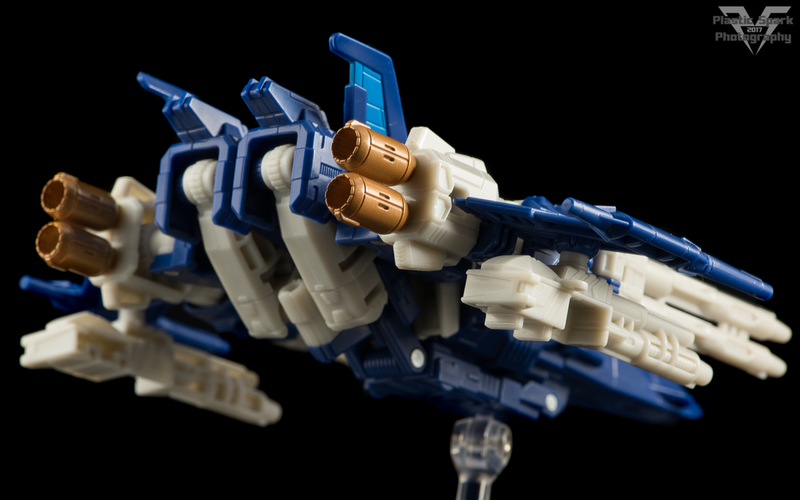 If you want a little more bang for your buck you can peg the blaster weapons into ports on the bottom of the wings to increase his devastating, but unreliable, firepower. The rear of the fighter is a bit cluttered when viewing from the back, with Triggerhappy's legs doing a practically non existent job of hiding. The painted copper/gold thrusters do a good job of distracting your eye and add a nice touch of detail that's usually missed on deluxe figures like this. Robot mode is a thing to behold. 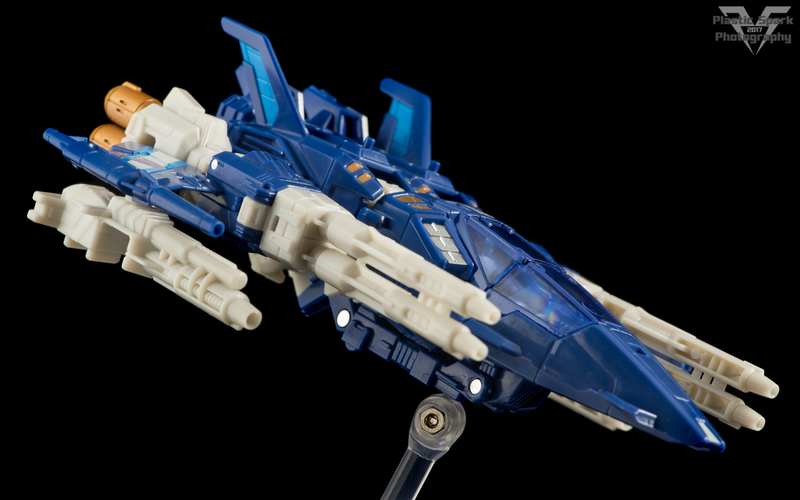 Trigger happy cuts an absolutely stunning silhouette with his tall shoulder pylons, swept back wings, and sharp angles. He is incredibly poseable with only ankle tilts and wrist swivels missing from your standard articulation suite. I particularly love that Hasbro went with an animation accurate head sculpt which is a bit of a departure from their toy inspired designs on the rest of the Headmasters. The paint around Triggerhappy's eyes is well done and his face pops when a little bit of light is reflected on to it. The folded back blasters from jet mode can be folded forward replacing Triggerhappy's hands with blasters. This is a nice homage to Triggerhappy's original Target Master designation in the G1 toy line and cartoon. I absolutely love this figure, I find myself constantly picking him up, transforming him, posing him, and just generally having a ton of fun. Well worth a pick up if you ask me, even if you aren't into some of the mainline releases from Hasbro lately. 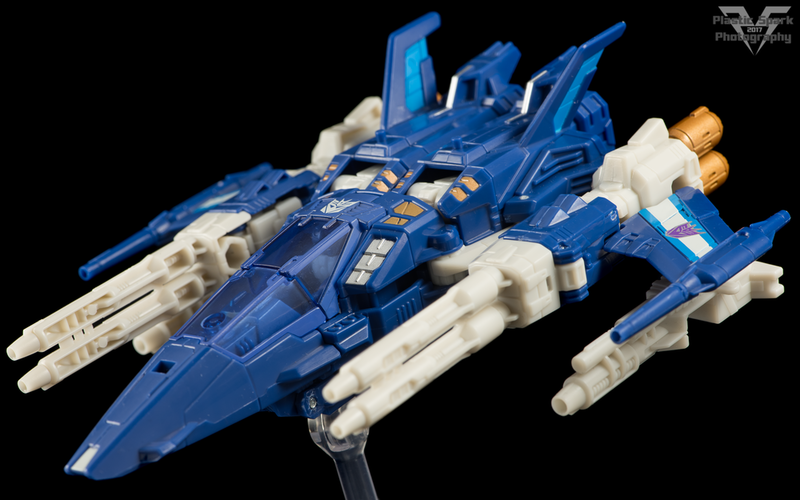 This is a fun, great looking toy. Plain and simple.